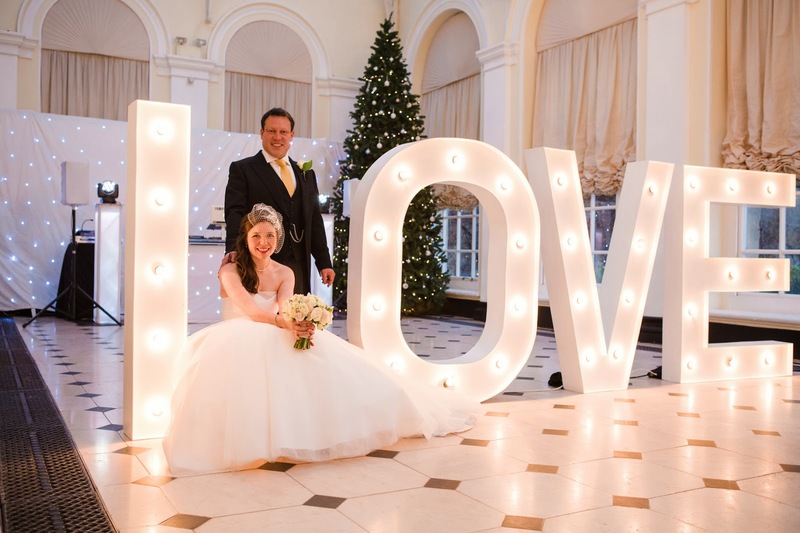 Georgina and Chris's stunning Blenheim Palace Christmas wedding - Joanna Carter Wedding Flowers | Oxford, Oxfordshire, Berkshire, Buckinghamshire and London. 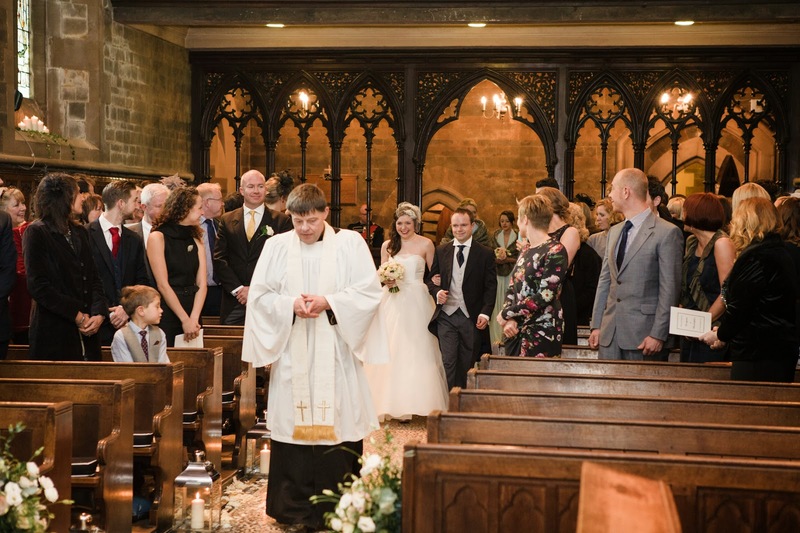 Georgina chose soft ivory and blush pink with a tiny hint of black as the colours for her flowers and it worked brilliantly. 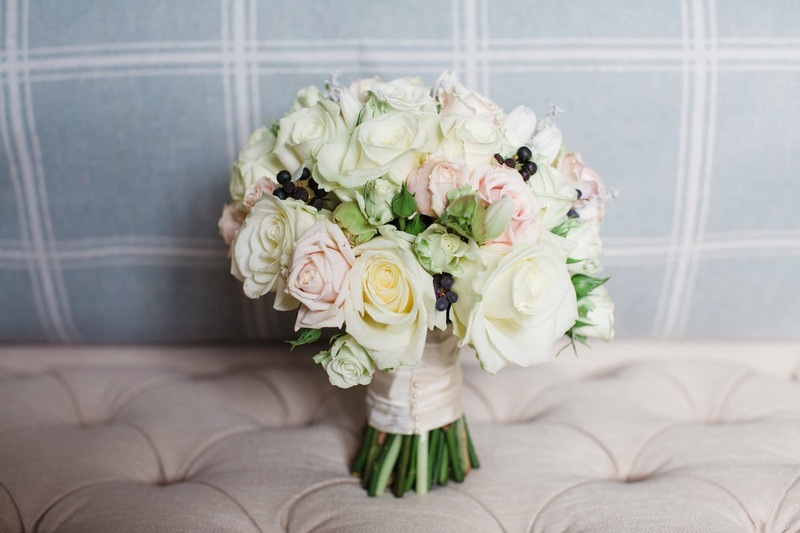 We used a mix of avalanche and sweet avalanche roses for Georgina’s bouquet with ivory spray roses, black ivy berries and ivory anemones with black centres in Georgina’s bouquet. 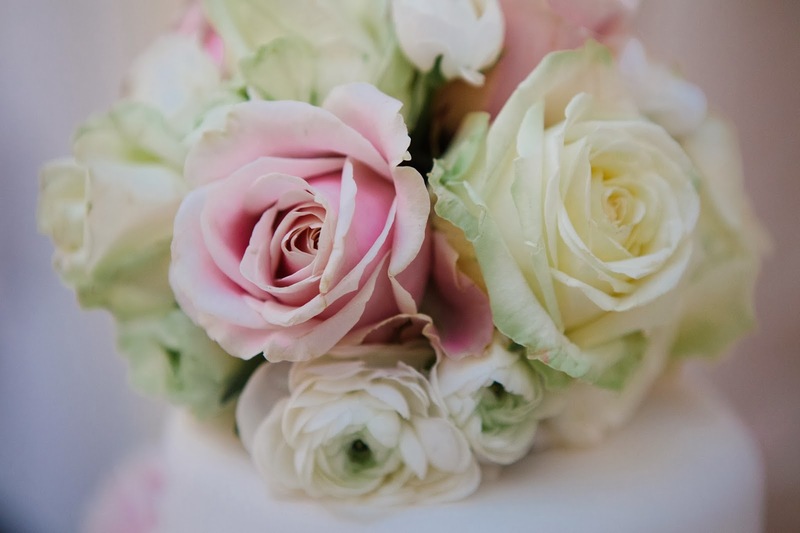 It was a lovely soft mix of colours and textures. 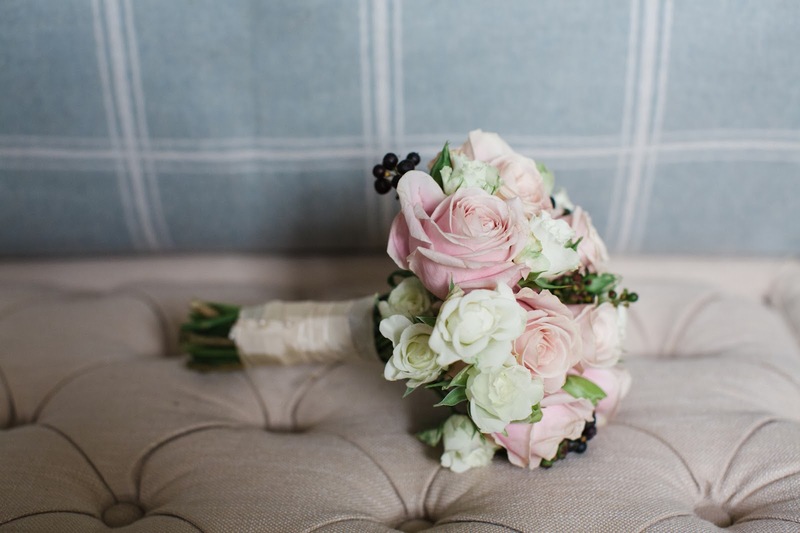 We used a mix of avalanche roses and ivory spray roses with black ivy berries for the bridesmaids. 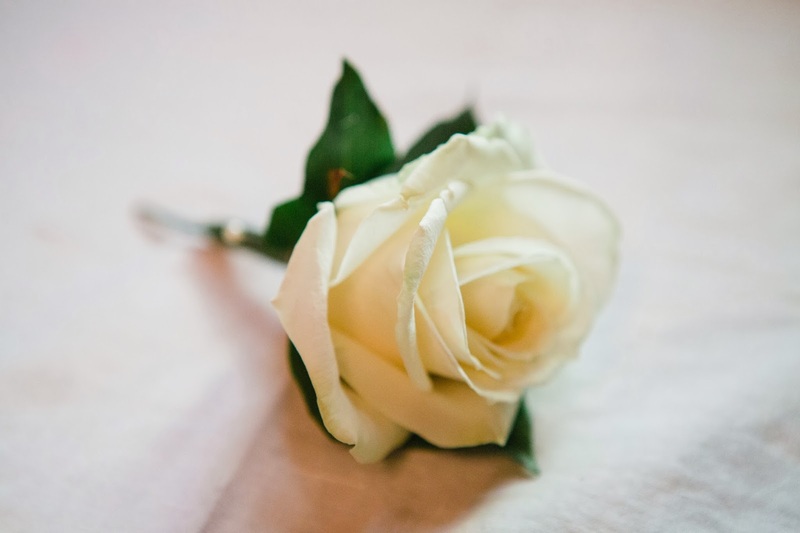 The men had classic ivory rose buttonholes. 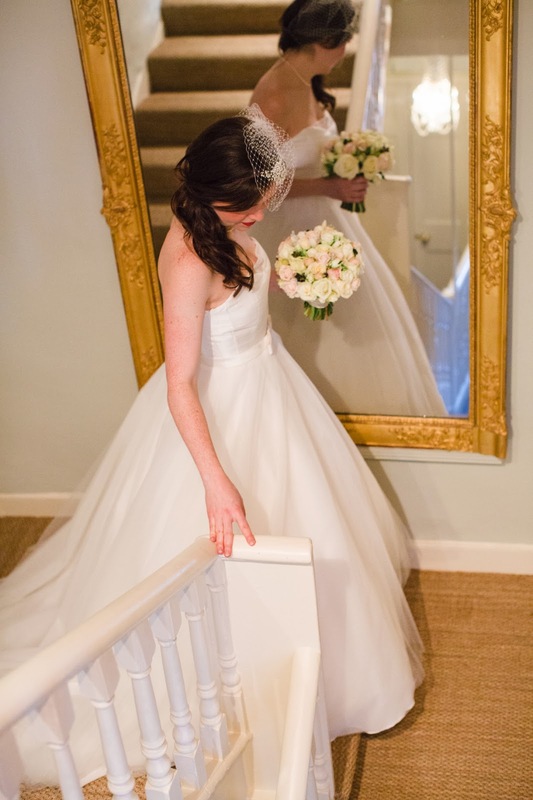 Georgina got ready at the beautiful Glove House in Woodstock (www.theglovehouse.co.uk) a stunning boutique hotel in Woodstock before heading off for the candlelit ceremony in Bloxham school Chapel. 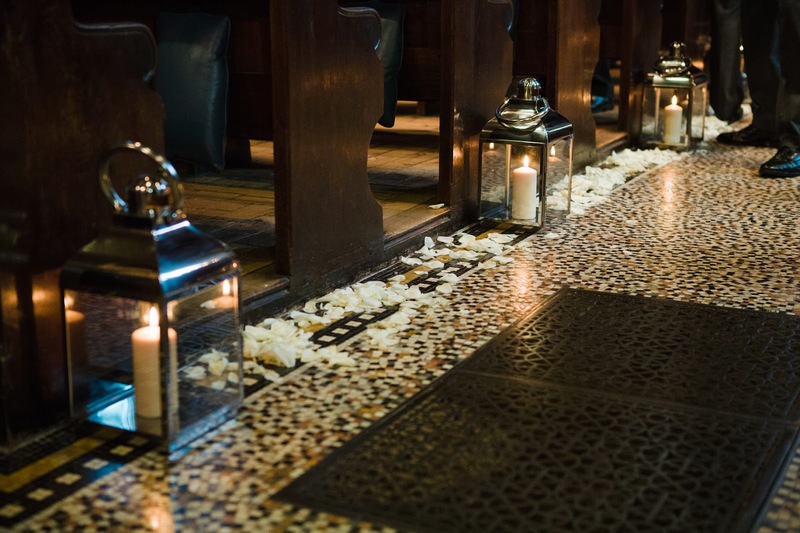 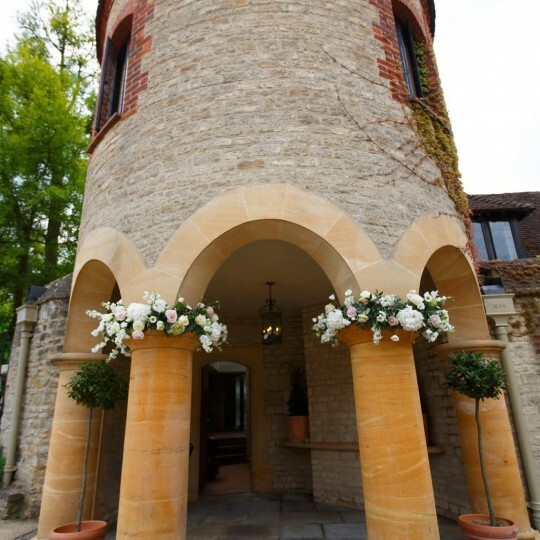 The aisle was lined with stunning lanterns from www.essentialweddinghire.co.uk and scattered with ivory rose petals. 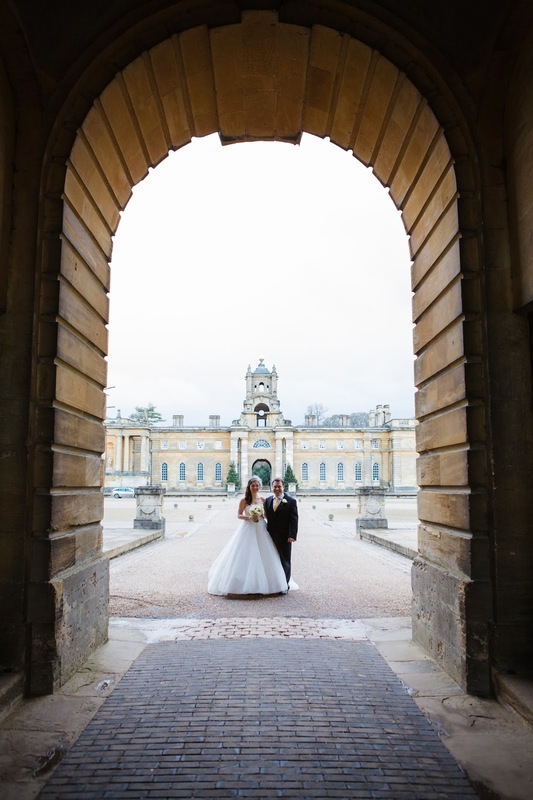 Blenheim makes such a stunning backdrop for wedding photos. 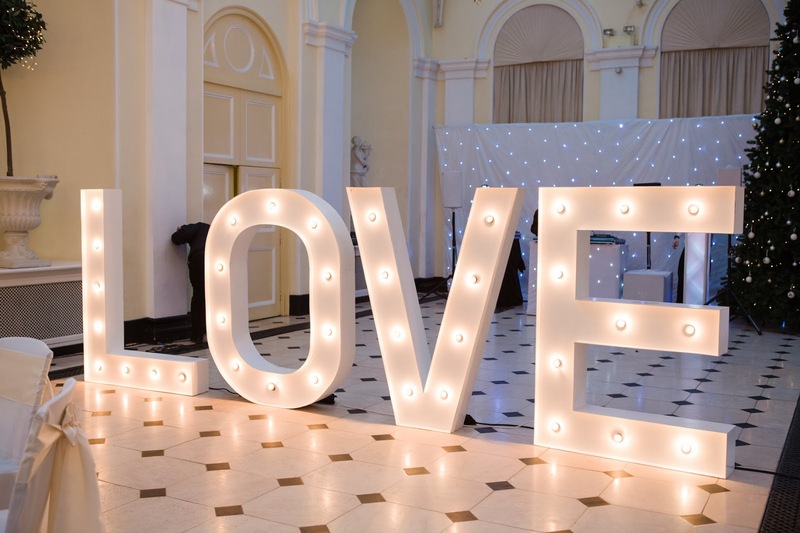 The reception took place in the Orangery, complete with huge LOVE letters that Georgina had hired from www.vowedandamazed.co.uk. 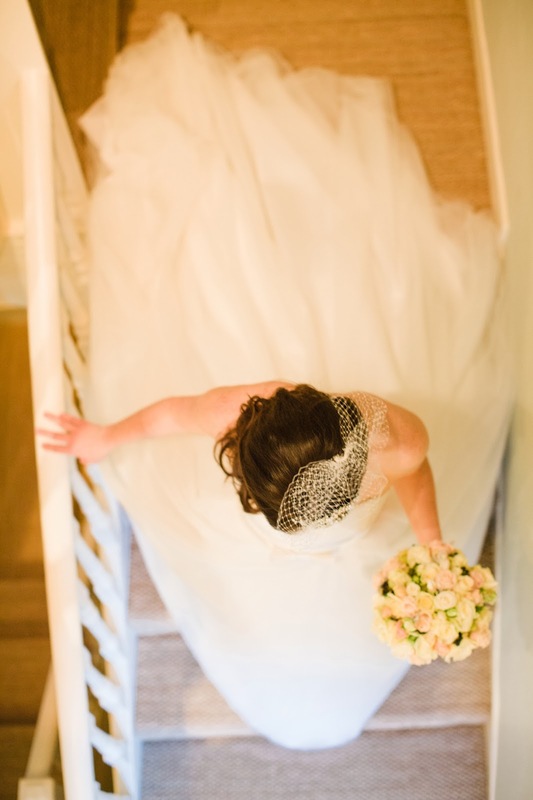 They were a brilliant backdrop to the room. 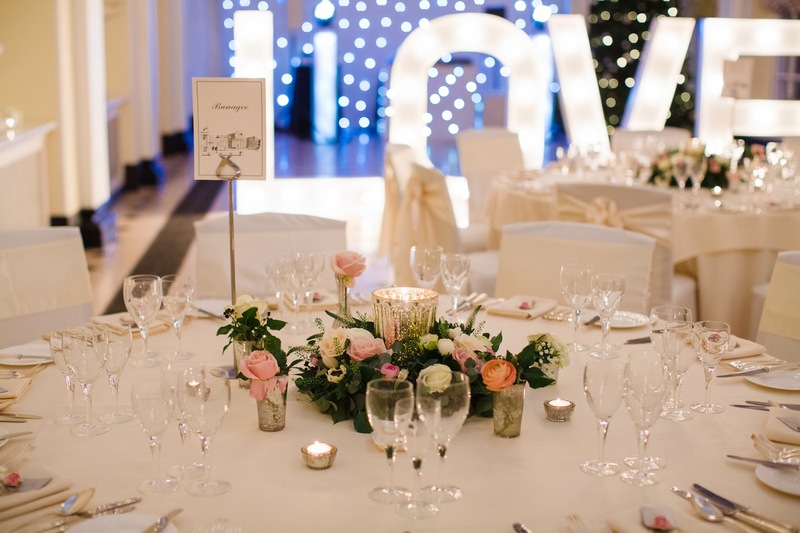 On the tables we placed wreaths of pale pink and ivory flowers with mercury glass lanterns in the centre. 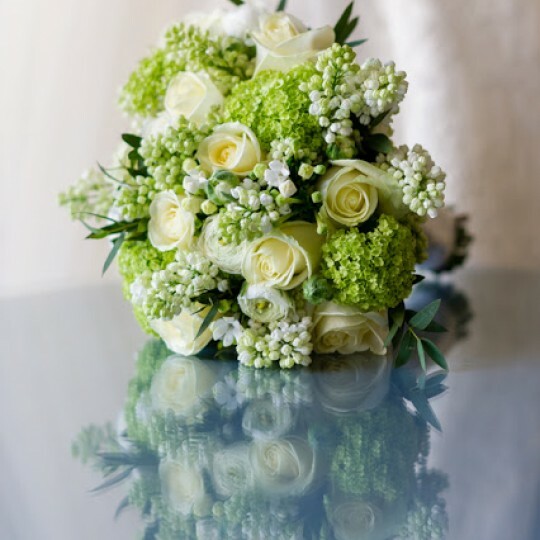 Around each wreath arrangement were assorted single stem mercury glass vases with a mix of single blooms in. 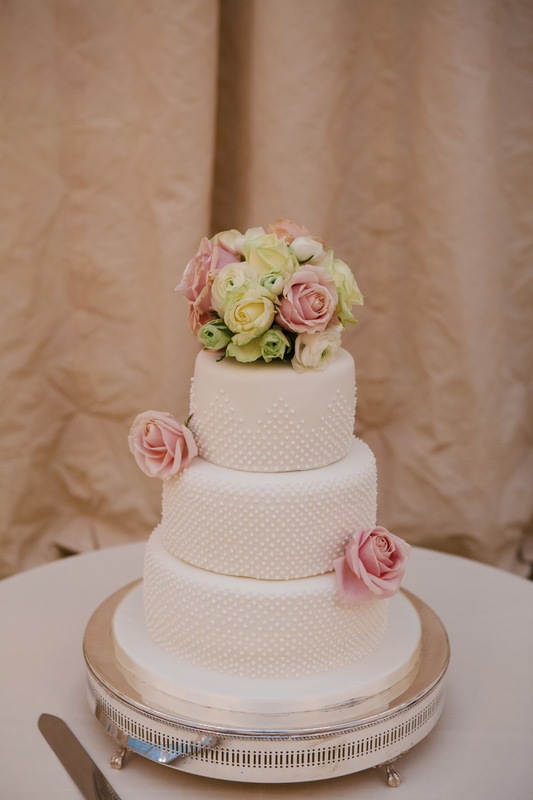 Georgina’s cake had sweet ivory scattered dots on each tier so we added a dome of flowers on top and a couple of single pink roses to each tier to finish it off. 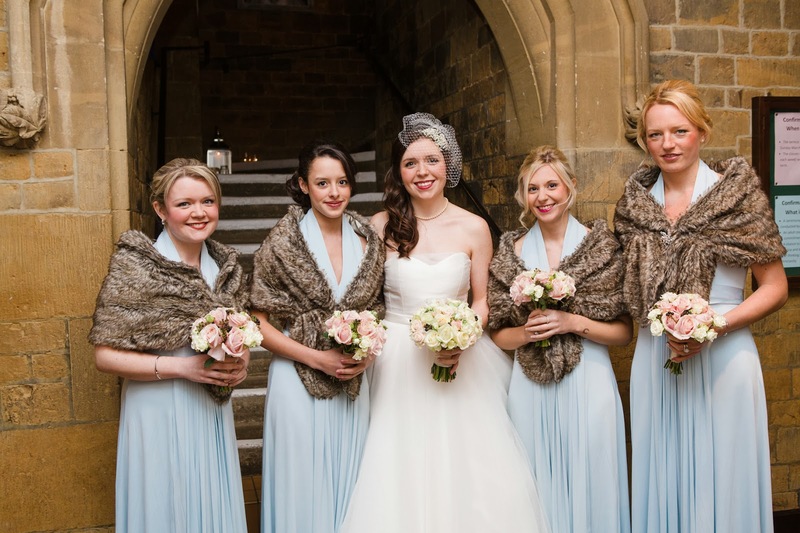 A beautiful winter wedding that we loved being a part of. 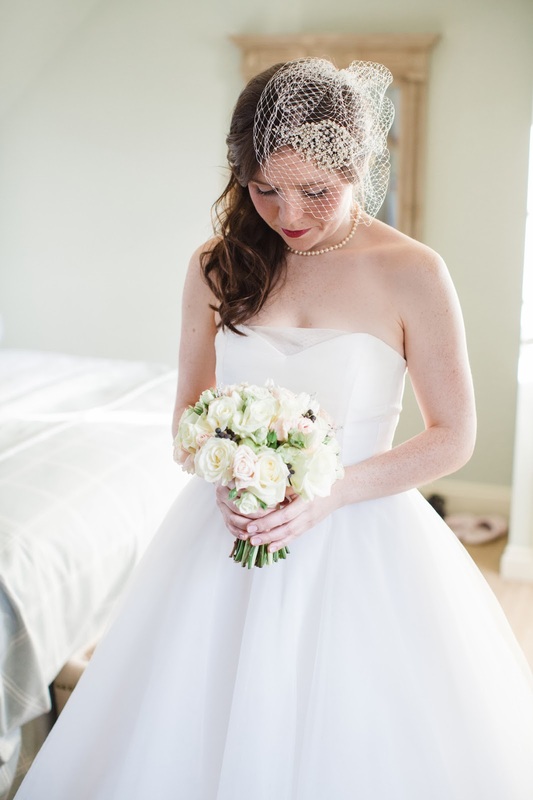 A huge thank you to Lucy Davenport (www.lucydavenport.co.uk) the brilliant photographer who supplied these photos. 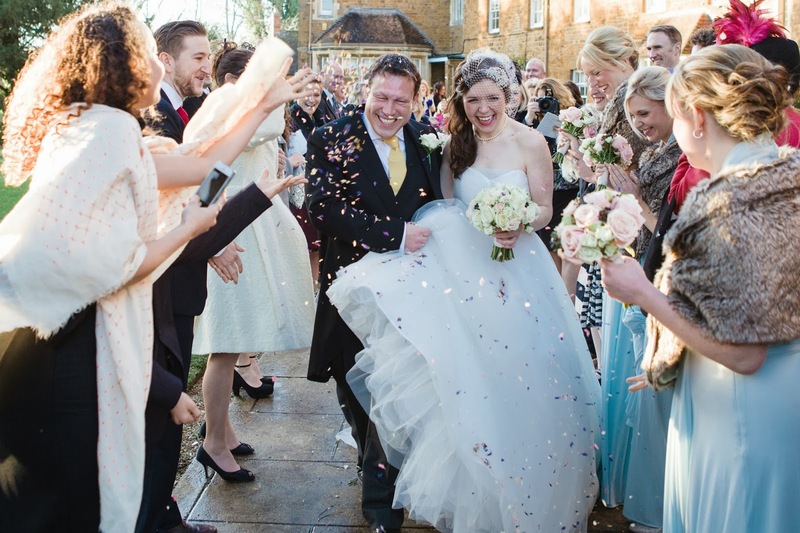 Lucy and I have worked together on several weddings now and each wedding has been fabulous! 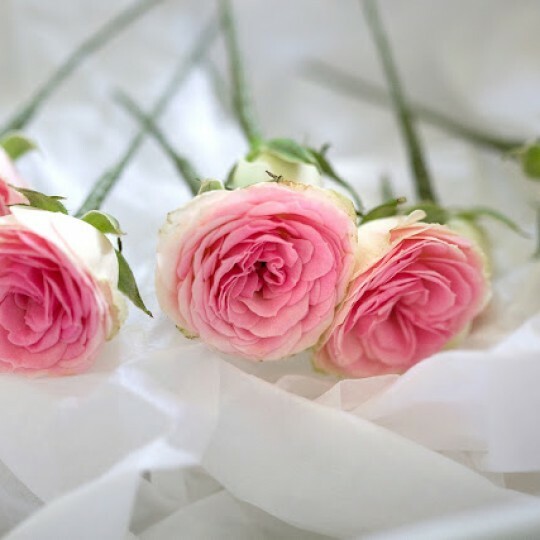 Thank you Lucy.